My food photography isn’t quite there, but I can’t go wrong with nature photography in my neighborhood. 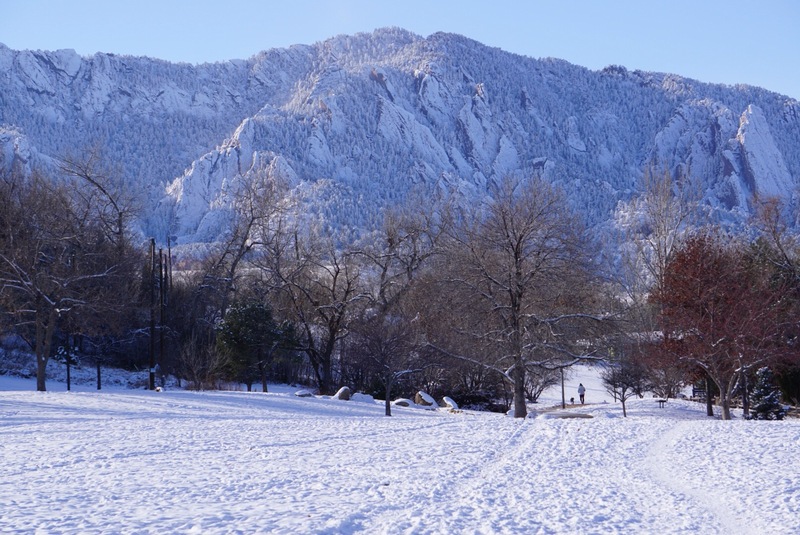 Enjoy this mountain view and use your other senses to imagine french toast casserole. This was a multi-day multi-recipe effort that turned out “OK”. I had read a recipe for Granola Bread in The Breakfast Book that sounded amazing. Day one was to make the unsweetened granola for the bread. This recipe made the world’s saltiest granola. It was unbelievable. Dave said if we added worsteshire it would taste like chex mix “in a good way”. I put the granola away because even though it was salty and weird, “people” were eating it out of the pan. Step two was to make the granola bread. It turned out OK. Nothing to write a cookbook about. It never browned, so I may have over cooked it. It was sort of a beigey gray. The first loaf was eaten quicly, with butter, as toast, and as grilled cheese. But there was the problem of the second loaf. I had planned to make it into french toast casserole from the Smitten Kitchen Cookbook, but it seemed a little risky to use so-so bread in fancy recipe. But then what to do with the bread? Well, I think french toast was invented to use up old bread so I went with it. This recipe was one that I should have read and started the night before, but I didn’t. First you toast the bread in the oven with butter and cinnamon and sugar. That was amazing. Then you arrange the bread beautifully in the pan and pour the custard over it and let it sit for some long period of time. I skipped that because I didn’t have time. I did try to arrange it beautifully, but the bread refused. And, I have to say, I halved the custard. I wasn’t emotionally and intellectually committed to this recipe enough to use 6 eggs in it. Long story short, reviews ranged from “yum” to “it was OK.” But it was a big step forward for me because I found myself starting to make another loaf of bread for the French toast so it would be perfect and then I thought, “No, that’s crazy.” I’m sane now, people. Ok, here is a picture. 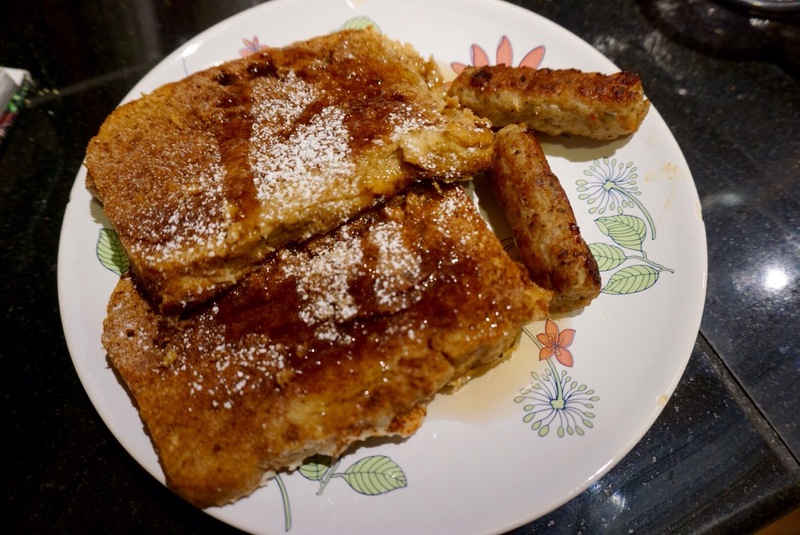 This entry was posted in food and tagged breakfast, casserole, fail, french toast on December 11, 2015 by metamegan. I’d love to know what goes into granola bread. It looks delicious. Aside from the granola , there is corn meal, whole wheat and all purpose. But it looks prettier when its covered in cinnamon and sugar. I have another recipes worth of granola, I could make the bread again when you come to visit.